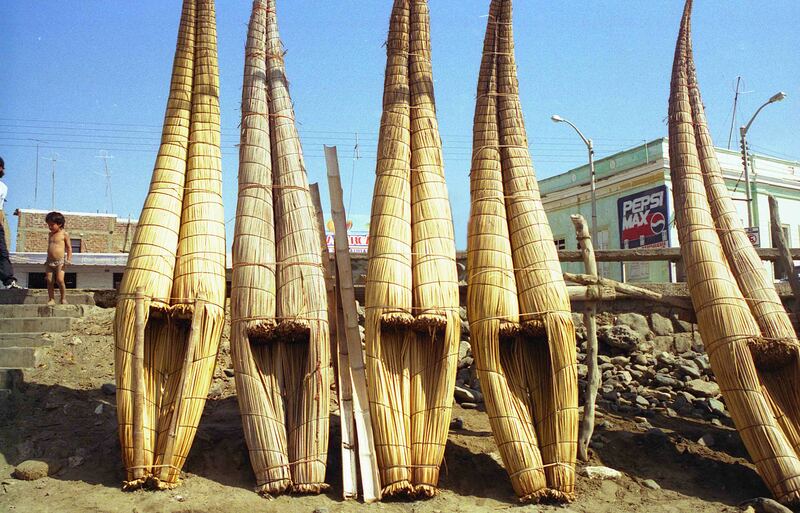 Huanchaco has been characterized as a fishing village of totora rafts used for fishing at sea. Scenes depicting this style of fishing were recorded in the ceramics of indigenous peoples of Peruvian coast about one thousand years ago. The fishermen used the wetlands for cultivation of totora, a type of reed plant, which provided materials to make their raft. Being an emblem of the Peruvian state, Huanchaco generates significant income through tourism. The land dealers, entrepreneurs, private operators and the state have been enriched with the goodness of this geographical setting. The Chimu people have lost their living space to illegal occupations and garbage dumps in the wetlands. This greatly affects the growing pools for their totora which are the identity of Chimú Moche people of Huanchaco. Historical source of the Recovering totora ponds provides medicinal resources, fishing, fodder for poultry and livestock and materials that allow the Chimu people to build their reed boats. These boats form the basis of Chimu fishermen’s livelihood, enabling them to fish in the sea and cater to tourists.